Relatively little is known regarding preschool teachers’ use of specific scaffolds, including those high support scaffolds (e.g., co-participating, eliciting, reducing choices) that may be important for children who are struggling to acquire language and literacy concepts. The goal of this study was to characterize preschool teachers’ use of six types of scaffolds (generalizing, reasoning, predicting, co-participating, reducing choices, eliciting; see O’Connor et al. in Ladders to literacy, Paul H. Brookes Publishing, Baltimore, MD, 2005) within the whole group read aloud session. Two specific questions were addressed: (1) To what extent do preschool teachers use high and low support scaffolds during whole group read aloud sessions? and (2) To what extent does preschool teachers’ perceived frequency of use of specific scaffolds correspond to their actual use of scaffolds? Videotaped classroom observations were carried out for five preschool teachers conducting whole group read alouds in their classrooms; frequency of use for six types of scaffolds was coded using systematic observation procedures. Results indicated that teachers showed a preference for three types of scaffolds, all of which were low support, and that the three types of high support scaffolds occurred at very low rates. Additionally, results showed a substantial discrepancy between teachers’ perceived frequency of use of specific types of scaffolds relative to their actual use. 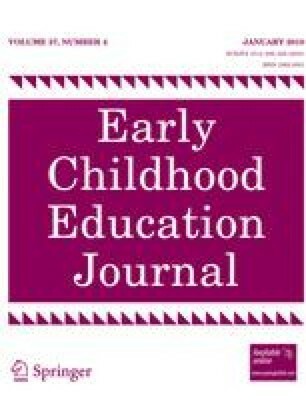 Together, findings suggest that preschool teachers may benefit from professional development focused on using a range of scaffolds, to include high support scaffolds beneficial to children who may need high levels of support to participate in read alouds. This research was supported by Grant R30SA080459 from the U.S. Department of Education, Institute of Education Sciences. We would like to thank the program administrators, research assistants, teachers, and children who made this study possible. Tell me about a time you felt really nervous. Where were you and what was happening? Some animals have big jaws and other animals have small jaws. Angel, can you tell me why? What is this part of the animal called? Is it the teeth or the jaw? National Center for Education Statistics. (2008). The condition of education 2007: Indicator 2 Enrollment in early childhood education programs. http://nces.ed/gov. Retrieved 10 January 2008. Ohio Department of Education. (2008). Early learning content standards. http://www.ode.state.oh.us/GD. Retrieved 14 November 2008. United States Department of Health & Human Services, Administration for Children & Families, Office of Head Start (2000). Head Start child outcomes framework. http://www.hsnrc.org. Retrieved 8 January 2008.